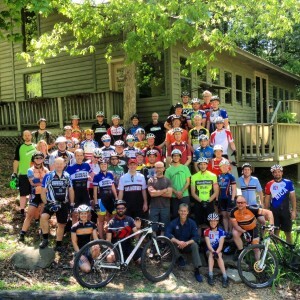 The Tennessee Interscholastic Cycling League’s annual Leaders Summit brings together coaches, assistant coaches, ride leaders, and parent volunteers—both new and experienced—to develop skills and knowledge, share strategies, and build community. This conference and retreat promotes a well-rounded approach to coaching that creates an environment in which young people can grow and thrive. This is a great opportunity to spend a weekend in the company of peers and energize for the upcoming season. Our 2019 Summit will be held at Christ Presbyterian Academy in Nashville, with great mountain bike riding at Percy Warner Park! FULL WEEKEND REGISTRATION INCLUDES: Conference Materials, Coaches Manual, Coaches Gift, Raffle entry, lunch on Saturday, lunch on Sunday, and special discount pricing on team registration in Pit Zone for the upcoming season. COST: Full Weekend Early Bird through April 1st – $90. After April 1st – $120. Sunday only – $50. Weekend seminars cover the core principles of working with middle and high school student-athletes in the context of a Tennessee mountain bike team. These seminars provide basic and in depth knowledge that all Tennessee Head Coaches, Assistant Coaches, and Ride Leaders should be aware of and incorporate into their team programs. Experienced coaches and new coaches alike will benefit from this informative day of discussion. We will build on the knowledge learned in previous Leaders Summits to provide a more in depth break out session for experienced coaches. OTB 101 and 201 Skills for Coaches clinic teaches the progressive steps needed to teach anyone (even yourself) both basic and advanced mountain biking skills. You will also learn about experiential teaching techniques, how to accommodate different learning styles, and how to create a positive learning environment for young riders. The OTB Skills Clinic will be held outdoors, please bring your bike and appropriate riding and safety gear for the weather. Required for License Levels 2 & 3. New Coaches must attend the TN Leaders Summit prior to OTB 201 training. Only experience coaches who have attended a TN Leaders Summit can attend both OTB 101 and 201 on the same weekend. Field guides included in registration fee.